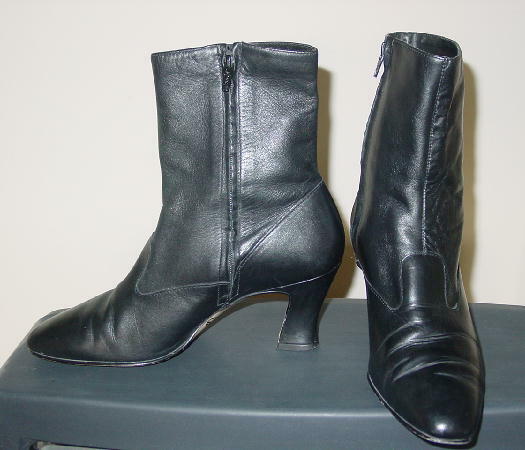 These short black leather boots are by Calico. They have modified rounded toes and inner side 6" long zippers. The vamps have some wrinkles and the boots have some scuff marks. They're from a stylist's inventory, and were worn in a photo shoot. bottom of heel to top of boot 8 5/8"